Specifically designed for PDC Smart® RFID wristband systems, the PDC Smart® Kiosk system enables guests to purchase admissions, concession, and rental items, or re-load funds directly to their wristband. Self-service capabilities, reduces the need for manual labor and reduces transaction times. Provides guest self-service admissions, rental cabanas & lockers, and allows guests to load funds to their wristband for spend at food and beverage outlets, gift shops, vending machines, business service centers, and more! Helps prevent employee theft or cash shrinkage. The user-friendly touch-screen interface makes transactions fast and simple. Guests can spend more time enjoying your park and less time waiting in line. Each kiosk is a custom built turn-key system to integrate directly with your parks Point-of sale and management software systems. The user-interface is also completely customizable to meet your park’s needs. 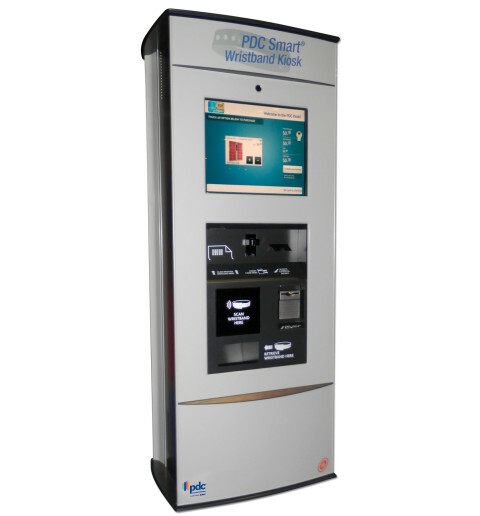 The PDC Smart® Kiosk system offers customizable reports including revenue, transaction rate, rental availability, etc. 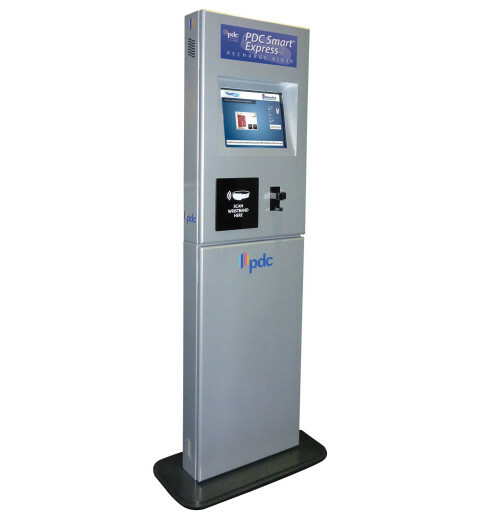 The PDC Smart® Wristband Kiosk significantly shortened the locker rental line without the need for an additional locker attendant. That gave us a better guest experience without added labor costs.